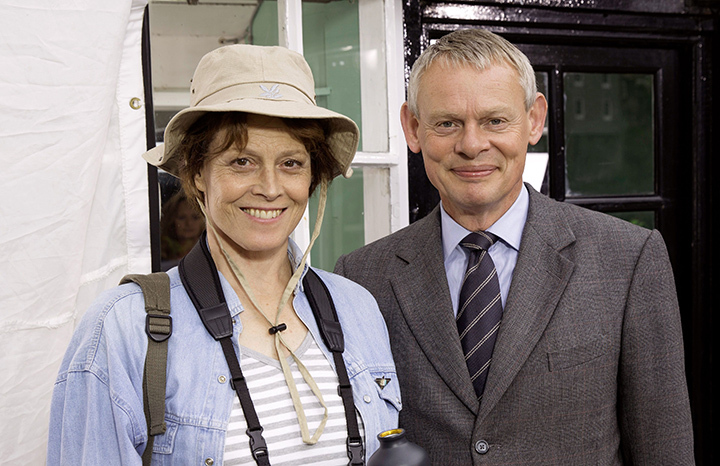 Great news for fans of Doc Martin as it’s been announced that the popular medical series will be returning. The exciting news has been revealed by Martin Clunes who is due to start filming for series nine in the new year but has also let slip there will be more series than one. She had a well-received cameo in Doc Martin in 2015, and now Hollywood superstar Sigourney Weaver is set to join the series in a full role. The actress, aged 67, is a huge fan of the series and will be reprising her role of Beth Traywick, an American visitor to the seaside town of Portwenn. He’s a self-effacing sort is Martin Clunes. Many actors can’t help but ‘big’ themselves up but not Martin. When, for instance, we congratulate him on the eighth series of Doc Martin – with a ninth already commissioned – he immediately ‘bigs’ up Philippa Braithwaite, his wife of 20 years, who produces the show. Living and working together doesn’t work for some couples but Martin and Philippa couldn’t be happier. Is Doc Martin going to end? ‘Doc Martin’ is made every other year and it’s rumoured that the series after this, going out in 2019, will be the last. Surely not! 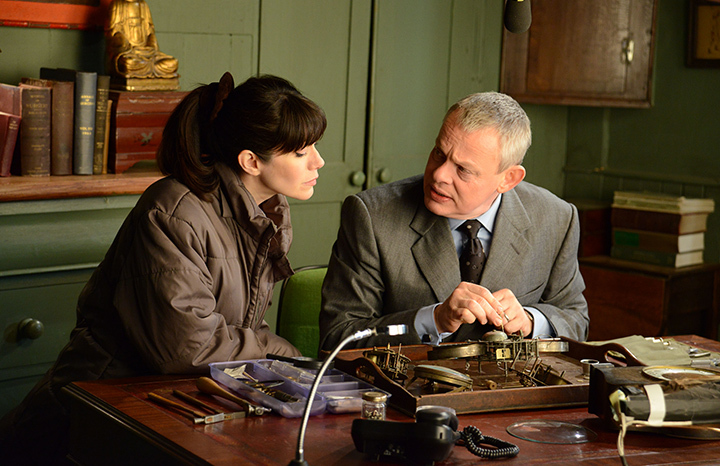 What’s new for Doc Martin in series eight? Dog-lover Martin couldn’t happier about one of his new co-stars for this series – a rescue terrier cross called Paddy. Other memorable co-stars this series include Martin’s old ‘Men Behaving Badly’ girlfriend Caroline Quentin – or ‘Quenty’ as he affectionately calls her, and Hollywood leading lady, Sigourney Weaver, who is reprising her role as belligerent American tourist, Beth Traywick. Never mind Hollywood guest stars, it has been said that the real star of Doc Martin is the Cornish village of Port Isaac which doubles for the fictional Portwenn. The village has become famous the world over thanks to the show.